Recognition: Bologna Process (EU), USA and other countries, member of Laureate Education Inc.
Odontology: Is studying Odontology what you’re dreaming of? Are you looking for a university in western Europe which offers you education at the highest international level, all of it in English? If so, you are just right at the Universidad Europea de Madrid (UEM) –also known as the European University Madrid. During your degree in Odontology, you will be continuously supervised by a renowned team of professors, lecturers and international specialists who will turn you into an expert in Odontology, not least thanks to the extremely advanced and practical training in one of the most modern universities in Europe. At the end of your degree in Odontology, you will have acquired expert knowledge and also be able to actively apply it in the fields of dental technology and dental treatments in your professional life. All of this is thanks to more than 1,000 hours of clinical training in the two UEM clinics located in the heart of Madrid, where you will have direct contact with the patients and simulation exercises in advance. Thanks to the high international standards of the University, as a student you are offered the opportunity to participate in international specialist conferences and congresses of the highest level. Participating in these events will give you the chance, among other things, to establish contact with worldwide renowned people and institutions in the field of Odontology. The membership of Laureate Education Inc. will allow you, as a student at the UEM, to study one or several semesters abroad in partner universities worldwide. In addition, the UEM participates in the ERASMUS programme. The degree in Odontology lasts 5 years (10 semesters). Madrid: With its more than 6 million inhabitants, Madrid is located in the heart of the Spanish Peninsula. This modern capital and culture city is at the same time the trade centre of Spain and it hosts the most important multinational companies in Spain. That means we are talking about a dynamic, lively city. Madrid is one of the liveliest cities in Europe day and night and it is considered a cosmopolitan city. The cultural, artistic, and leisure time offer is remarkable and first-class in terms of diversity and quality. The open and friendly manners of the “madrileños”, as the inhabitants of the city are called, enable the international students to integrate quickly in the city. Due to the high amount of international inhabitants, integrating in Madrid should be an easy accomplishment. Arriving in Madrid is generally very easy thanks to the good national and international connections of the city. The international airport in Madrid, Barajas, receives many flights from Germany every day. In addition, it has many direct connections to the whole world. Madrid has one of the best transport systems in the world: The bus, train, and metro systems make it easy to reach the whole town and its surroundings, with a frequency ranging between 2 and 15 minutes, between 6.00 am and 2.00 am. The night bus service, reinforced during the weekends, works all night with a frequency of 15 to 30 minutes. There is a discount monthly card for young people under 21, as well as student discounts. Valencia: The Universidad Europea Valencia is located, as the name already gives away, in the city centre of the holiday paradise and famous university city Valencia, in the south of Spain. Valencia is a city with much to offer to its students: the third biggest city in Spain with 800,000 inhabitants, directly on the Mediterranean, with a privileged climate with 320 sunny days a year, more than 485 km of coastline full with sand beaches and countless parks, palm trees and regional recreational facilities. In Valencia, tradition and modernity meet in an incomparable way and the inhabitants are warm and cheerful. That is why it is no wonder that Valencia has become a desirable location to study and live. In the past few years it has also become one of the most popular Erasmus cities in Europe. The universities in Valencia belong to the most demanded Erasmus universities, which is proved by the amount of students participating in the Erasmus programme. In total: A student’s dream location! 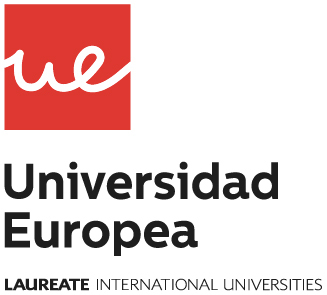 The admission at the Universidad Europea de Madrid (UEM) takes place after an aptitude test and a subsequent interview. You will receive all tips and instructions from your MSA student advisor when you register for the application procedure. The degree is recognised in the whole of Europe, USA and other countries. The Odontology degree has been adjusted to the Bologna-Process. The UEM is also a member of Laureate Education Inc.